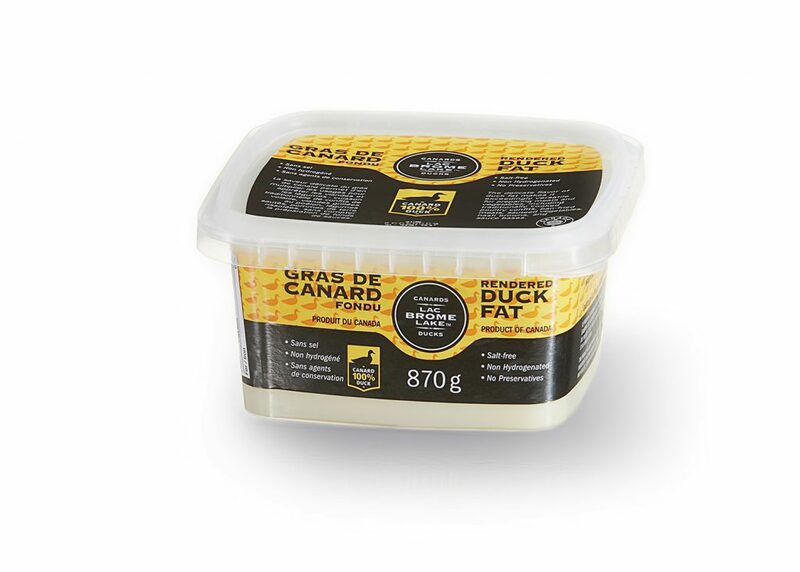 For over a century, our company Brome Lake Ducks has made product quality and innovation its main concerns. From the farm to the table, every stage of production takes place in Quebec, with respect for the birds and the environment. Good tasting, good for you! polyunsaturated, omega-3 and omega-62 fats, which are essential for the proper development and functioning of the human body. These also help prevent heart disease by reducing the amount of bad cholesterol in the blood3. Brome Lake duck meat is also a source of iron (a skinless duck breast contains 8% of the recommended daily intake4). Iron is an essential nutrient in the transport of oxygen and the production of red blood cells. Our duck meat also contains B vitamins riboflavin and niacin. What is good for them is good for us! What is good for them is good for us! We know that the outstanding conditions under which we raise our ducks allow us to produce top quality products. That is why our ducks are raised naturally in climate-controlled, well ventilated buildings that are cleaned regularly. Our ducks are free to roam and have access to fresh water at all times. They eat a grain and soy-based feed, enriched with vitamins and minerals, and without antibiotics, hormones or drugs. Every step of production is controlled: From the egg to the plate! The eggs are layer in farm buildings following the highest biosecurity standards in the industry ! A balanced, all grain feed program promotes growth naturally! Growing environment is monitored daily to maintain optimal conditions! Healthy and gourmet products for your pleasure! We are also aware that a natural environment is essential for the ducks’ growth and well-being. That is why all our farms are governed by a strict biosafety and health safety program. Our buildings have been built to the highest industry standards in the world. We use the latest technology for the well-being of our birds, with real-time monitoring of air quality and humidity. To avoid waste and loss, all parts of the duck are used, right down to the feathers! All our operations are strictly controlled, to do everything possible to reduce impact on the environment. We have developed an action plan to minimize our carbon footprint by dramatically reducing day to day travel. We have worked make optimal use of hydroelectric power and have implemented an environmentally friendly composting site. A different kind of fat! Rendered duck fat is very special because it is more akin to olive oil than animal fat. It contains 58%4 monounsaturated fat, and its 29% saturated fat content is significantly lower than other animal fats. As such, it is a good alternative to this kind of fat, as well as to the trans fats that are found in many foods on the market. Our rendered duck fat is actually a healthy choice. Document prepared and authored by researchers at the Institute of Nutrition and Functional Foods (INAF). Taken from the website:www.passeportsante.net. SGS Canada Inc. General testing laboratories division. Extenso (reference center on human nutrition). Taken from the website: www.extenso.org. S.M. Inc. Laboratory services. Accredited by the Bureau de Normalisation du Québec (BNQ).